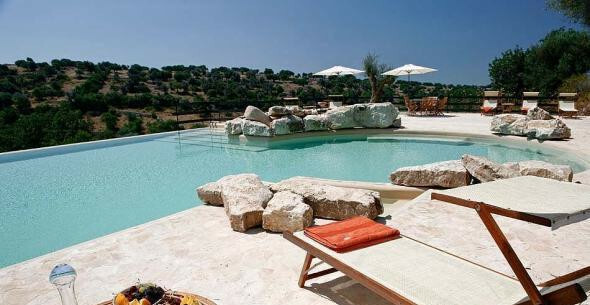 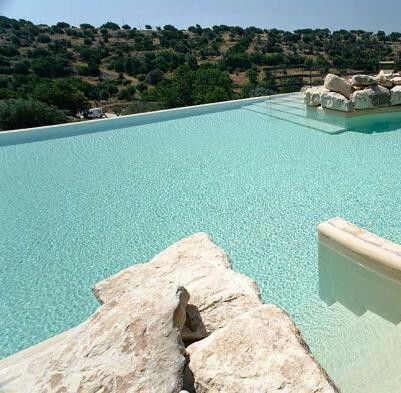 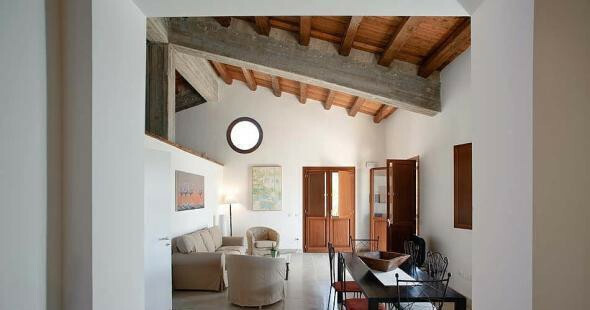 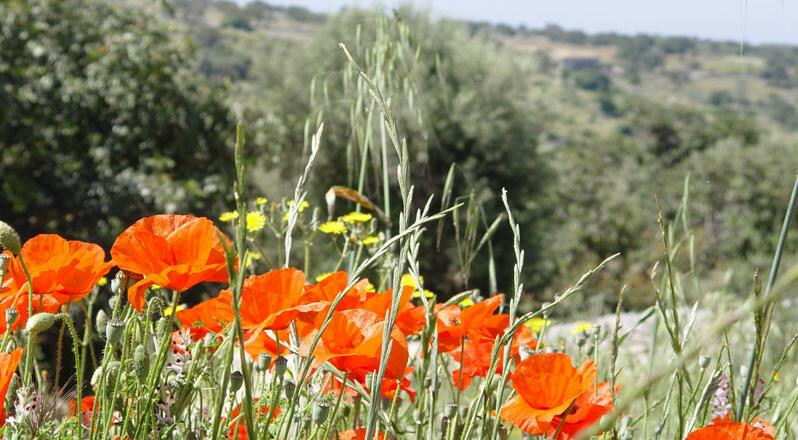 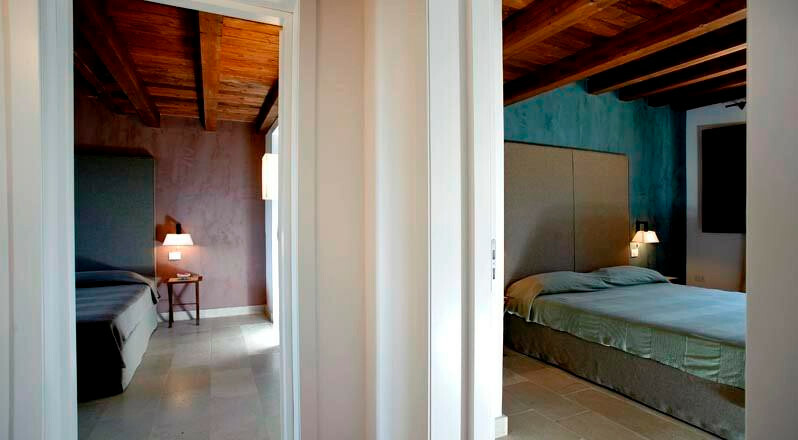 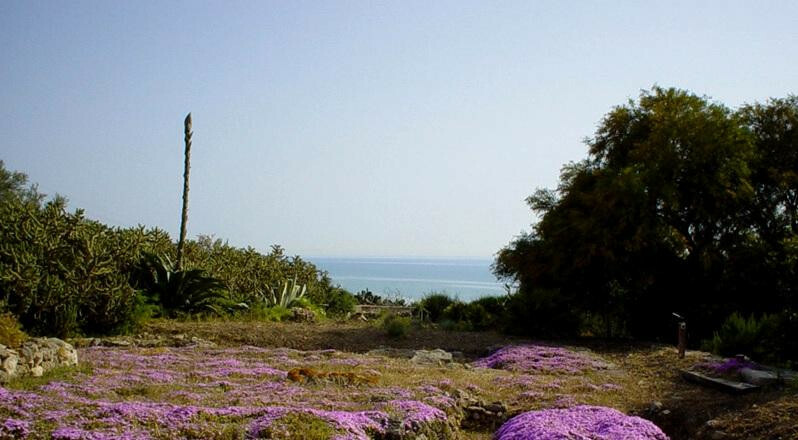 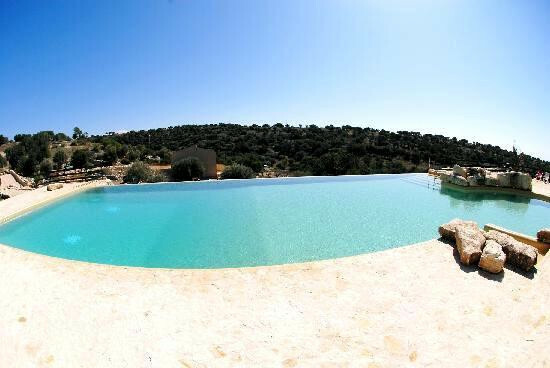 The most beautiful italian “casa” are waiting for you in Sicily. 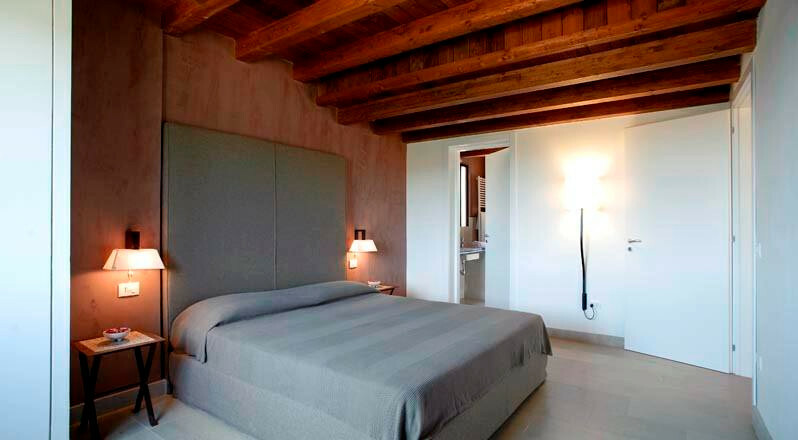 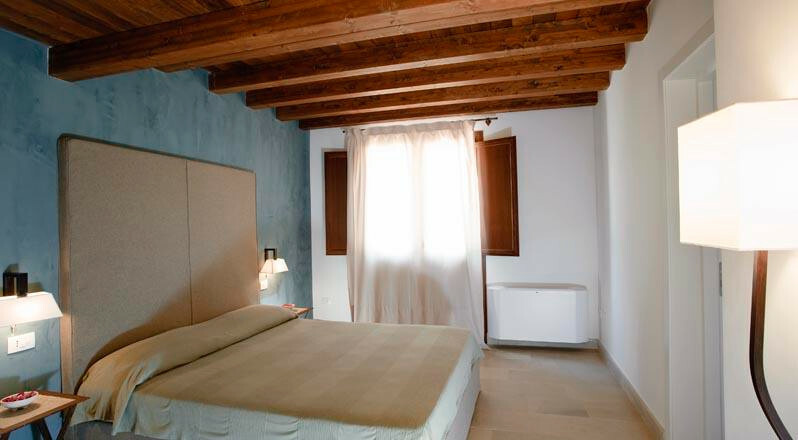 This comfortable and beautiful residence is part of the Parco Cavalonga Resort: a really magical place to live the elegant atmoshpere of the countryside of South-Eastern Sicily. 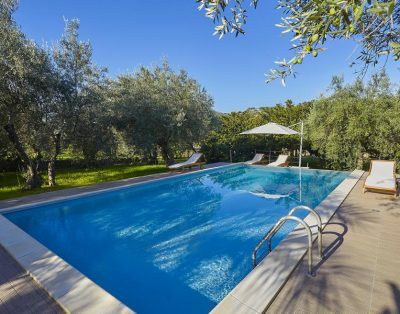 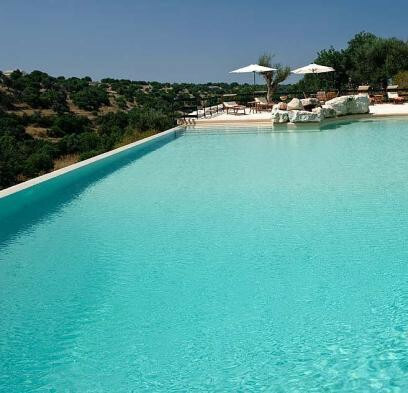 Surrounded by an eighteen-hectare park set in a valley rich in olive groves and carob trees, with fields and meadows divided by typical dry-stone walls, this little hamlet includes lovely farm houses and a nineteenth-century villa, together with two wonderful infinity pools and Mediterranean garden, perfect for relaxing walks. 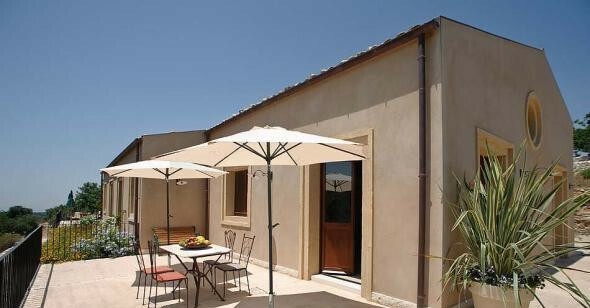 Rural houses have been turned into seven beautiful apartment-suites made with local stones and other materials, creating a pleasant environment that mixes the country-style with modern facilities. 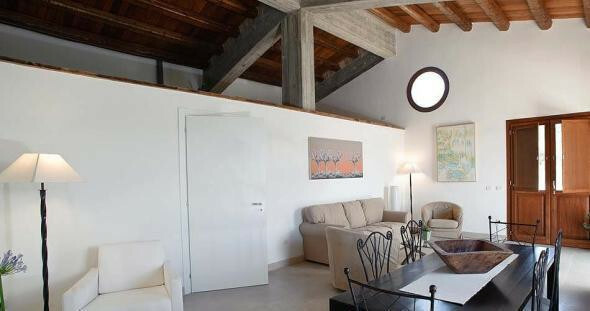 Every single apartment is unique, with top-quality furnishing and original design, wrought-iron equipment, pretty patios, stone pavements and gardens. 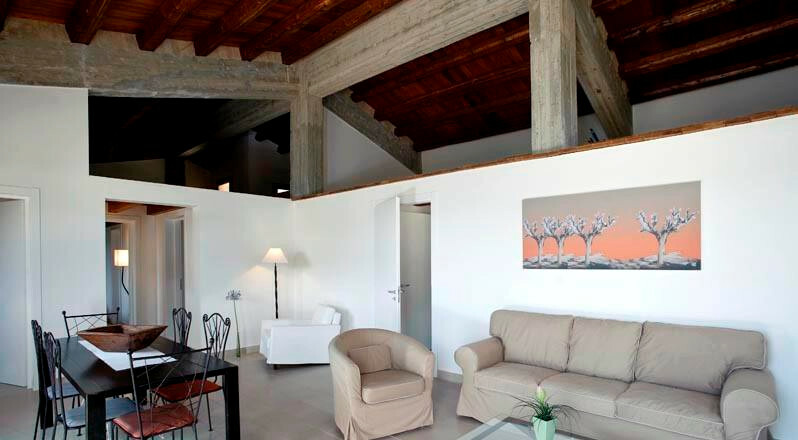 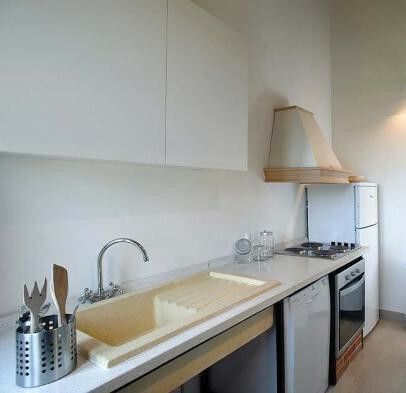 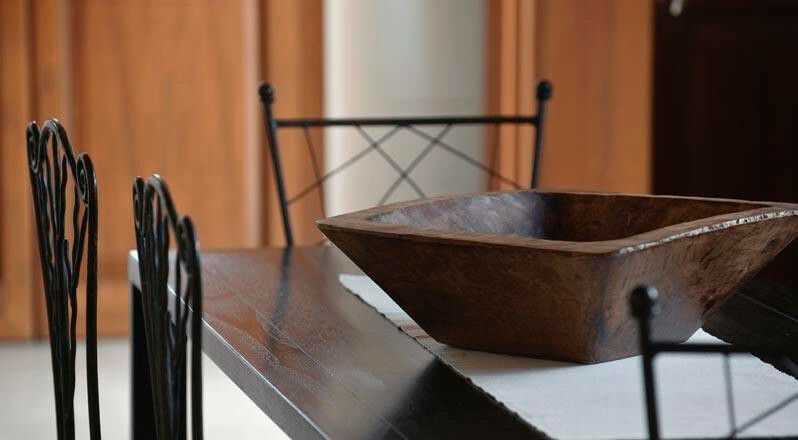 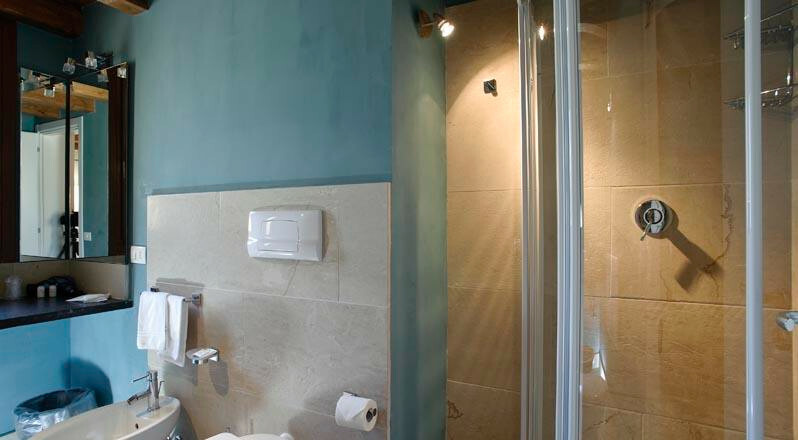 All apartment-suites can be booked with self-catering or hotel-service options. 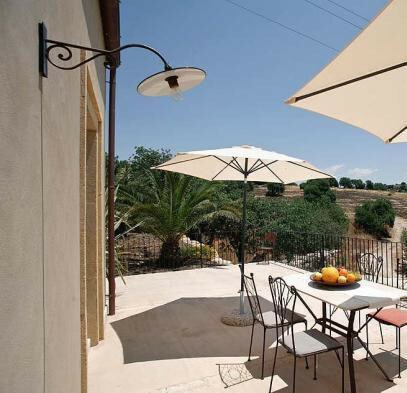 This residence Terrazza Ibla, with a beautiful panoramic view, has been created from part of one of the rural houses of the property, Casa Terrazza Ibla, in such a way as to provide a high level of privacy. 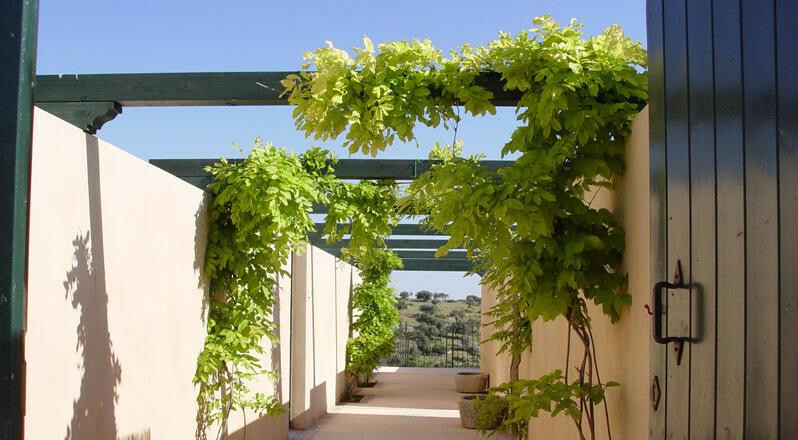 The residence opens onto its own private terrace. 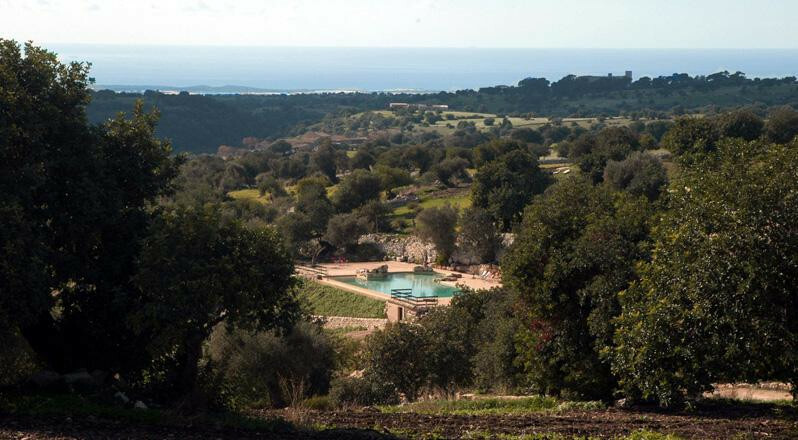 This enchanting area of Sicily is famous for the beautiful examples of typical Sicilian baroque architecture, that can be observed in the lovely historic centres of its old towns, all rebuilt after the earthquake of 1693. 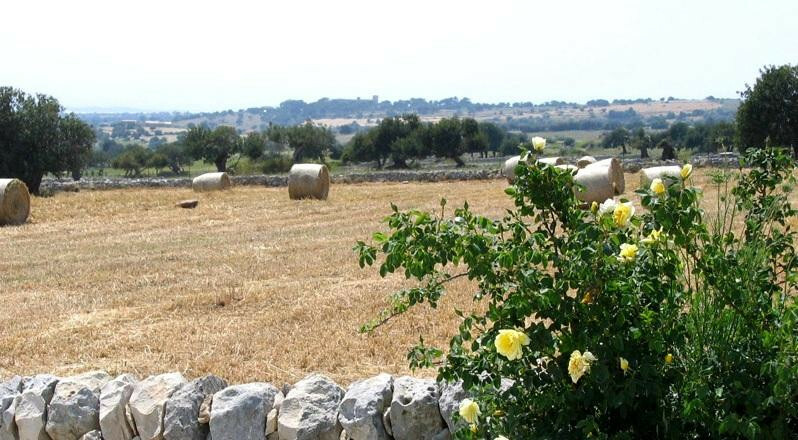 Some of this towns, such as Ragusa Ibla, Scicli, Noto, Comiso and Modica, have been listed among the world heritage sites of UNESCO for the invaluable beauty of their city centres, with narrow cobblestone streets and charming refined buildings and churches. 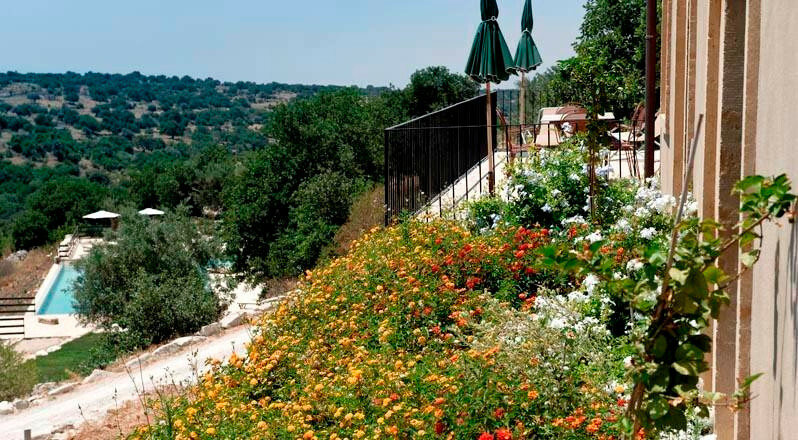 And then slightly outside of this extraordinary area lies the town of Caltagirone, with its world-famous ceramics, as well as Piazza Armerina with the astonishing mosaics of the Villa Romana del Casale. 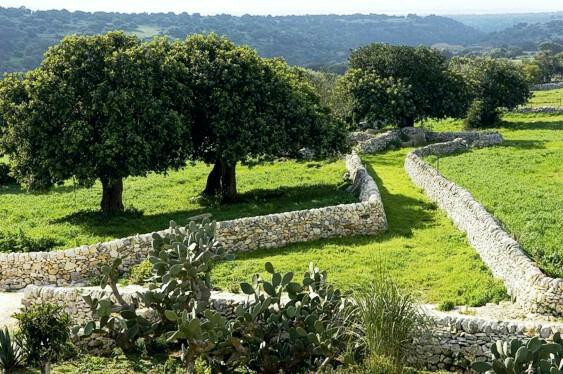 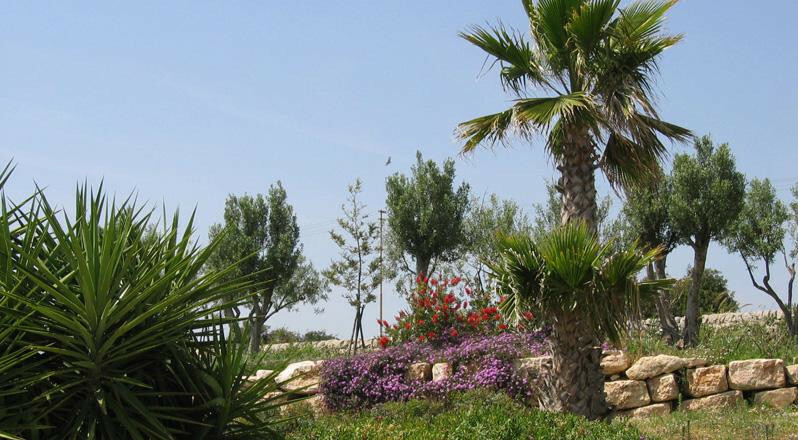 Landscapes are really one of a kind: unique sceneries made of olive groves and carob trees, with plenty of dry-stone walls separating properties, fields and estates. 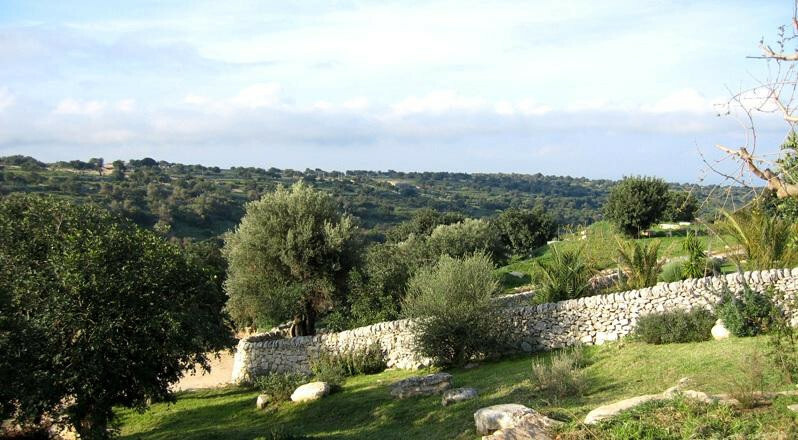 Gentle hills are interrupted by shallow gorges, and beautiful sceneries hide important archaeological sites such as Pantalica and Ispica cave. 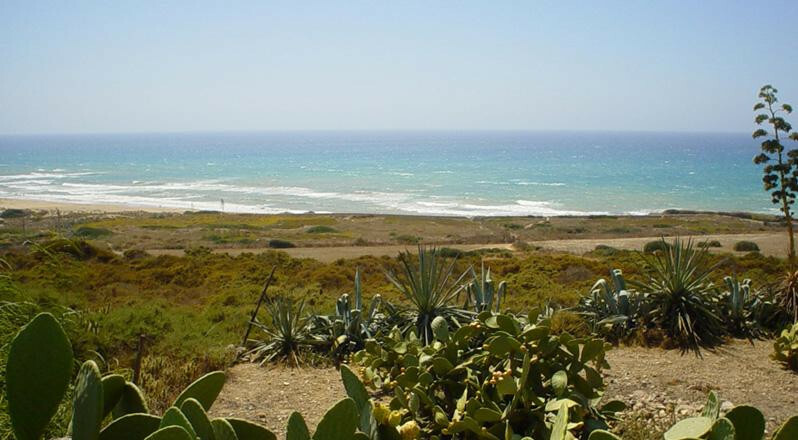 In this pleasant area of Sicily you can swim until late October: the weather is beautiful and sandy beaches are wide and have really nothing less than the most famous tropical beaches, often included within protected areas such as the Irminio nature reserve.